Michael Douglas was born on September, 25th 1944, a son of Kirk Douglas and actress Diana Dill. Before to start acting in films, Michael had tried many professions: he was distributing coffee at cinemas, worked as the assistant of the director and so on. 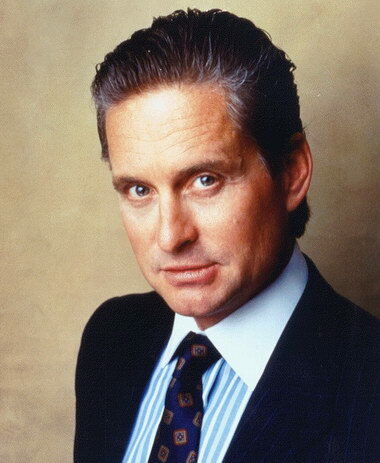 Today Michael Douglas certainly is a star of the first magnitude. He can play absolutely versatile heroes because his acting is so natural and artistic. - “I like playing heroes to whom the spectators frequently refuses to empathize. I am bewitched by good and bad struggle. In each of us there is something dark, an “animal” part that is not shown because of the society and culture. At movies… there I am permitted everything I want. Hardly my hero breaks prohibitions – and everything becomes very simply. The gray paint disappears and there are only black one and white one. I like to play with fire”.